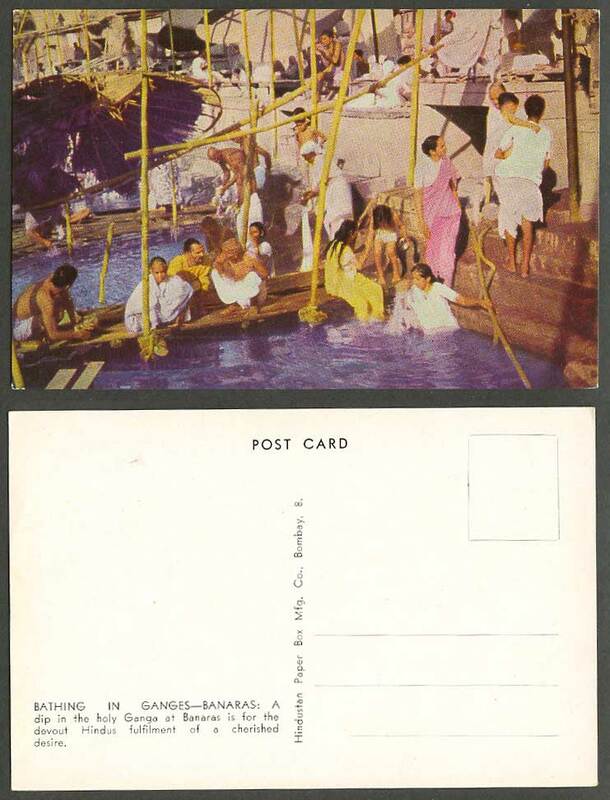 Early Colour British Indian Old Post card, India, Ethnic Life. Natives Bathing in Ganges, Banaras Benares. A dip in the holy Ganga at Banaras is for the devout Hindus fulfilment of a cherished desire. Background: Benares (also known as Banaras, Kashi, Kasi and Varanasi (वाराणसी)) is a Hindu holy city on the banks of the river Ganga or Ganges in the modern north Indian state of Uttar Pradesh.